When PG&E announced plans to close California’s last remaining nuclear plant last week, it also announced a historic plan to replace it with clean energy, like solar or wind, and energy efficiency gains. That way, the Diablo Canyon nuclear plant, which doesn’t put out carbon emissions, won’t be replaced with something that does, like natural gas, the utility said. But a 100 percent clean energy transition is less certain than it sounds. Some say that natural gas power plants could also play a role in replacing Diablo Canyon, because of the challenges of adding large amounts of renewable energy to the grid. Solar and wind power fluctuate based on the weather conditions and time of day. Natural gas plants are kept running to fill in the gaps. In the short term, some say closing Diablo Canyon could actually boost greenhouse gas emissions, because there may not be enough renewable energy to cover the loss of the nuclear plant in the first few years after it retires. PG&E says it’s committed to a greenhouse-gas free solution. Whether that happens will depend on how the utility and regulators at the California Public Utilities Commission put that plan in motion. California must double its energy efficiency by 2030 under a state law passed last year, SB 350, which means PG&E’s customers will need less electricity from their utility. Home solar systems are booming, which reduces the need for large power plants. Customers in Marin and Sonoma Counties, for example, have left PG&E and are forming their own local utilities, a process known as community choice aggregation. In addition, PG&E is required to get more of its power from renewable sources, like solar and wind, in order to meet the state’s goal of 50 percent renewable power by 2030. Add all that up and PG&E says it would only need to run Diablo Canyon at half-power in the future, which makes it financially infeasible to keep open. When Diablo retires, PG&E will need to replace roughly 9,000 gigawatt-hours of electricity. (In California, it takes around 6,000 gigawatt-hours to power one million households for a year). 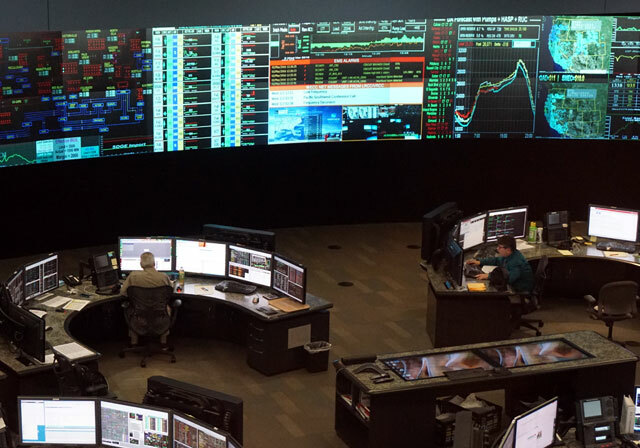 Through improved energy efficiency, PG&E expects demand to fall by 2,000 gigawatt-hours by 2025. That leaves a gap of roughly 7,000 gigawatt-hours to make up for the year that Diablo’s reactors go offline. To bridge that gap, PG&E plans to significantly boost the renewable energy it uses by 2031. By six years after Diablo's retirement, PG&E says it plans to be generating 55 percent renewable power, system-wide. 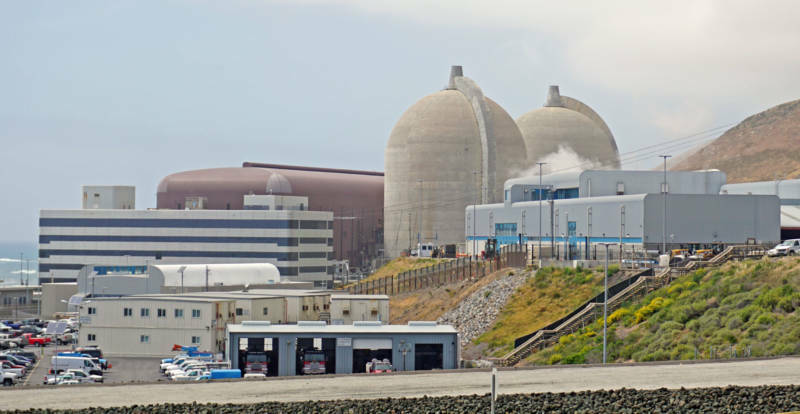 Even considering PG&E’s rapid renewable energy growth, some energy analysts say PG&E may need to turn to natural gas for the first few years after Diablo Canyon’s retirement, a move that could add to California's greenhouse gas emissions. “They actually increase their dependence on gas-fired generation over a short time frame because that’s really the only option that’s available to them,” said Morris Greenberg, Managing Director of North American Power at PIRA Energy Group, an energy market research firm. PIRA ran an analysis of the Western electric grid and found that while the use of natural gas is currently declining in Northern California, it could rise around 34 percent from 2023 to 2026 because of Diablo’s closure. Greenberg says the analysis takes into account PG&E renewable energy goals, but not the exact specifics of the plan announced last week. PG&E says there’s a reason it hasn’t spelled out exactly how it will replace Diablo’s power: it’s hard to predict how energy technology will change. “If I try to write down megawatt-hour by megawatt-hour what fills that gap in 2025 right now, that’s actually a losing strategy,” said Todd Strauss, PG&E’s senior director of energy policy planning. “The proposal clearly recognizes there’s lots of other things that need to be done, but we shouldn’t specify it today,” he said. “We’re committed to having Diablo Canyon’s retirement not result in an increase in greenhouse gas emissions,” Strauss said. Several of the environmental groups that signed on to PG&E’s closure plan say there is a risk of turning to natural gas. “We’re determined to avoid that,” said Ralph Cavanagh of the Natural Resources Defense Council. He says there are alternatives like using energy efficiency programs. “We’re all going to work together to ensure that the fears of our adversaries are not realized: that anytime you lose a nuclear plant you automatically get an uptick in fossil fuels and pollution,” he said. The solar and wind power that will eventually replace Diablo Canyon is carbon-free, but they only work when the sun is out and the wind is blowing. As clouds cover the sun or the wind dies down, the power supply drops, creating fluctuations on the electric grid. To prevent widespread outages, the state’s grid operator, the California Independent System Operator (ISO), has to have another source of energy ready to fill in the gap immediately. Generally, it’s been natural gas power plants, which can be turned up and down as needed. That means gas plants have to be run at the same time as renewables, because once turned off, they can take hours to turn back on. But as more renewable energy comes online, running renewables, natural gas and other power sources all together sometimes creates more power than the state needs. At those times, the California ISO has to switch off solar farms to avoid overloading the grid. Retiring Diablo Canyon could help with that problem. The nuclear plant is designed to run at a steady, constant level. Nuclear advocates have argued that the state needs this kind of "baseload" power. Others say shutting down Diablo could actually improve grid management. On a sunny day in March, some solar farms had to shut down because there was more power on the grid than Californians were using. But as California approaches the legislative mandate of getting half its electricity from renewable sources, the grid will need more backup power ready to fill in when solar and wind power fluctuate. “We could be at risk of running the gas fleet higher than we would otherwise run it,” said Laura Wisland of the Union of Concerned Scientists. Wisland says there are a number of strategies to avoid that. Spreading solar and wind farms across a wide geographic area would prevent localized weather conditions, like cloud cover or lack of wind, from creating such large fluctuations on the grid. Some solar farms and natural gas plants are also less flexible than they could be, because their contracts limit how often they can be turned down or turned off. Wisland says having fewer limits on that would make it easier for the grid operator to balance the ups and downs of renewable energy. PG&E says it plans to negotiate more flexible contracts with both new renewable projects and older ones whose contracts are expiring soon. Energy storage projects, like large batteries, can also provide power to balance out solar and wind, so natural gas wouldn’t be needed as much. California is also looking at joining its electric grid to other Western states, so power can be shared more efficiently throughout the West. Instead of turning on more natural gas plants here, California could hypothetically look for clean power from other states instead. PG&E says it’s interested in those strategies, but state regulators must ultimately approve the decisions. There remains “a lot that is actually beyond PG&E, to be worked out at the California Public Utilities Commission, California ISO, and other California discussions,” says PG&E’s Strauss. “When they do sign up more renewables," Wisland cautions, "they’re going to have to be much more aware of the integration challenges and be much more careful choosing renewables to minimize those challenges." PG&E says it will bring its plan to retire Diablo Canyon and replace it with clean energy before regulators later this year. When that happens, Wisland says, “It’s going to be up to everybody to hold them accountable."